This is Yukon, my gym pup. 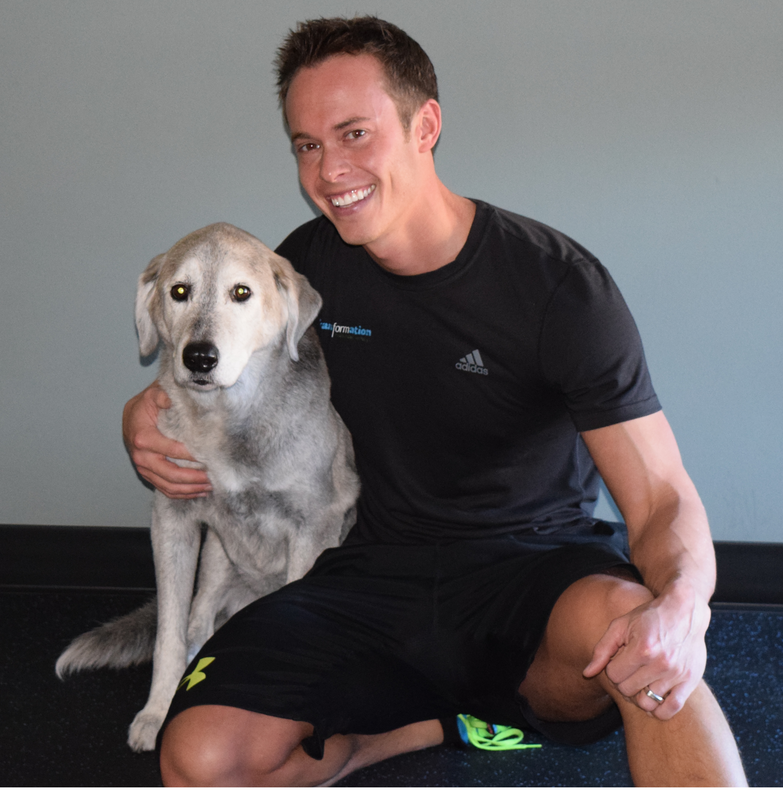 He has been training clients with me for years. My name is Jon Walters and I am very pleased you made it here when you could be doing anything else. With that said, I will make ultra sure that you find something relative to you and your health so you leave feeling awesome. What matters is that I can help you. Fitness, nutrition, workouts, pain, motivation, it is all confusing. You get pulled in 18 different directions trying to get the best knowledge and no one seems to have it. But again, I can help you. The purpose of this site is not only to offer information, but also for you to, over time, understand that there is solid, reliable, and reputable advise out there that has 100% good intentions. I want to help as many people as I possibly can, but I am also aware that trying to please everyone is the best path to pleasing no one. With that said, realize that not every article will apply directly to you, but across the board, I think you will find some great information. I want you to get a glimpse into who I am and what I believe. Hang around, ask questions. When you are ready to take the next step let me know and we will begin your transformation. I so appreciate your willingness to work with each person as an individual no matter what their goals are or aren’t. We don’t all fit into same little mold or want the same things. Thank you for all your efforts for our benefit.